Divorce is an unfortunate reality in family life that can be devastating for all involved, especially children. In some cases, divorce may be the best long term decision a couple can make but telling your kids about a divorce can be very difficult and even heart breaking. During a divorce, children may wonder if they are at fault or even if their parents still love them. It is important for parents to handle breaking the news of a divorce to their children delicately to keep a positive relationship with them and ensure them that they are still loved by both parents. The natural reaction of most children when they are first told that their parents are getting divorced is to wonder if it is their fault. It is important for both parents to tell their children that they are in no way at fault and to repeat this to them as often as necessary so that they understand that they have no reason to feel guilty. However, just simply telling them this is not enough as the response of each parent to the situation can affect the way their children view their parents as people. Therefore, parents need to show their children through their actions as well as their words that they are in no way at fault for the divorce. 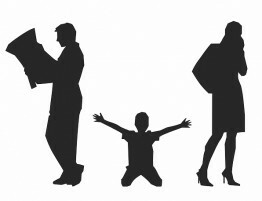 Typically in a divorce, one parent must leave the house which can make a child feel as if that parent is abandoning them or does not love them anymore. Both parents need to ensure their children immediately after telling them that the divorce is not their fault that they each still love them. This will help reassure them that they have the love and support of both parents and help each parent keep a positive relationship with their children. Once again, it is important that each parent lives up to this sentiment by not speaking negatively of their spouse and encouraging their children to spend time with the other parent so that they know they are loved by each. When a couple goes through a divorce, it is important for them to break the news to their children early and ensure them that they are not at fault and still loved by both parents to help limit their emotional stress. Divorce is a stressful situation for everyone involved and the attorneys of Allen Gabe Law, P.C. 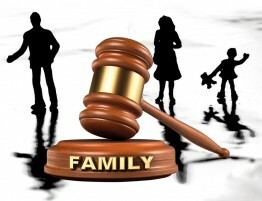 can handle divorce cases with sensitivity and confidence. 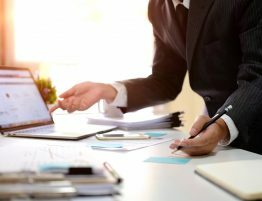 Our attorneys are dedicated to assuring a quick divorce process and protecting the children involved, especially in cases concerning abuse and custody battles. Contact Allen Gabe Law, P.C. 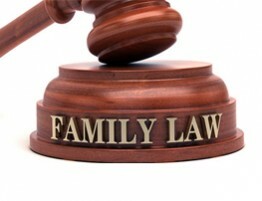 for legal advice concerning divorce and make sure to talk to your children early.